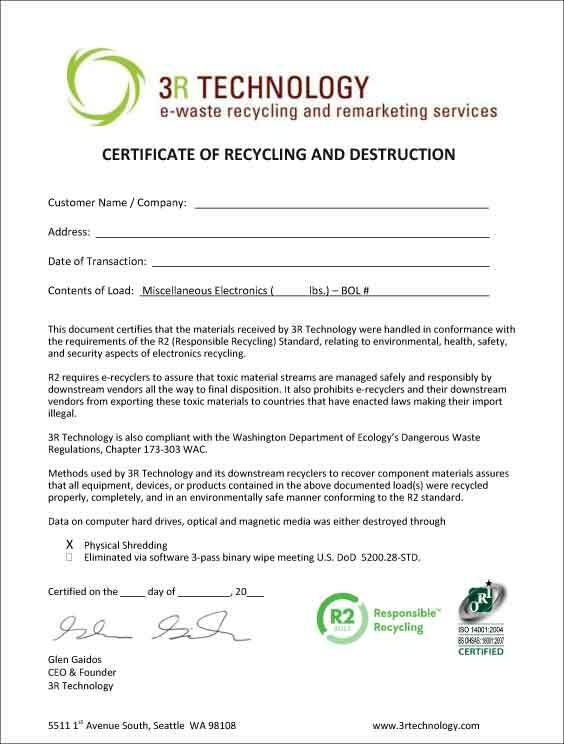 Once your project has been completed, you will receive an R2:2013 certificate of recycling, with the total weight of material collected, and detailing the processes applied for data destruction. If applicable, you will also receive an asset log and/or destruction log, along with a purchase form or invoice, depending upon the final valuation and costs of the project. We track all of the projects through our CRM software, and at any time can provide the total weight of material that we've collected and processed for you.